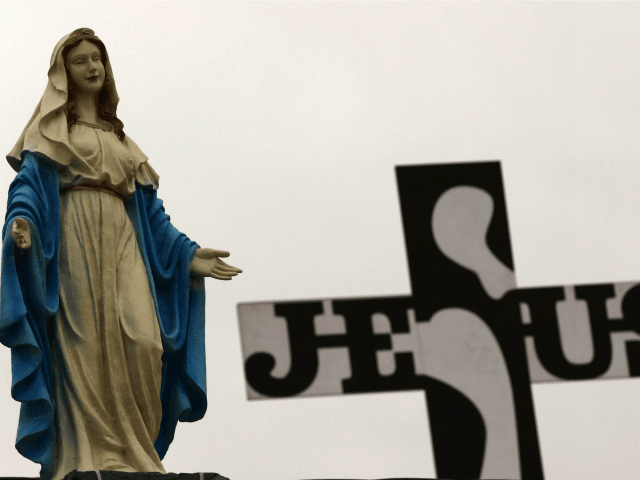 Police have said the wave of attacks to destroy Christian statues in Dülmen could have been motivated by religious ideology. Local newspaper the Westfälischen Nachrichten reports that “not a day goes by” without attacks on religious statues in the town of less than 50,000 people, and the immediate surrounding area. It is estimated that damage done to the works is in the region of six figures. In late October and early November the noses and fingers have been smashed off numerous statues, while several figures have had their heads beaten off entirely. Local residents were dismayed after the head of a statue of St Francis, which had stood in front of the Clara-Stift nursing home, was found in a nearby bush with its facial features bashed in. Günther Fehmer, who oversees Dülmen’s finances, said the town’s Catholic communities are devastated by the destruction. “We’re all very concerned by what is happening, and we’re also angry”, he said. Fehmer disclosed that internal estimates suggest the cost of the damage to be a six figure sum, and explained that the communities themselves will have to pay for statues’ repair and replacement, as it isn’t possible to insure them against vandalism if they’re placed outside. Police announced on Thursday that the attacks could be motivated by religious ideology. Just over a week ago investigating officers told local media they believed the vandalism was driven by “pure lust for destruction”. Dülmen has had to absorb a number of waves of foreign newcomers after over a million, mostly Muslim, migrants entered Germany last year. The town hit the headlines in August when a Chinese tourist was stripped of his passport and forced to spend two weeks in a migrant camp in Dortmund after being mistaken for a refugee. It was only when he was transferred by bus to another migrant camp in Dülmen that it was noticed he stood out from the rest of the crowd.